In the world we live in, however, relationships are much more complicated then the different stages of dating. The adventures do not involve fighting witches or dragons but navigating the treacherous labyrinth of learning about each other and examining our internal fears, hopes, and dreams. While every relationship is different, all of them follow a predictable pattern, with distinct signs and signals along the way, which are different for everyone. The way this pattern manifests will be consistent with your zodiac sign. In this article, we will follow this pattern from the moment you meet to when you decide to marry or enter into a long-term commitment with each other. Below are the four stages of dating. Before you can begin a relationship, you first need to meet. Meeting can take place in many different ways. Nowadays, it is more and more common for people to meet online through dating services or even just through normal social networking and the like. On the other hand, people can and still do meet in person at parties or social gatherings or at work. Regardless of how you meet, if anything is going to happen, both people need to make the decision that they want to see more of each other. It probably will not be “love at first sight” like the fairy tales, but there must be some initial attraction for the relationship to even begin. When we first meet anyone, regardless of whether they are a potential dating partner, we wear a mask. This is normal and natural. In astrology, this mask is usually seen in a person’s Ascendant, the sign that was rising in the East when we took our first breath. This mask can also take the form of our Sun Sign. Some people will have an Ascendant and Sun Sign that are similar. These people tend to be naturally more transparent, and their behavior when you meet will be consistent with how it is as you get closer. Other people, however, have an Ascendant and a Sun Sign that are very different from each other. These people are sometimes accused of being two-faced or deceptive, but in most cases, this is not quite fair. What is going on is that the mask that they were born with does not match with who they are inside. If the first stage of the dating relationship goes well, you will begin to get closer to each other. The masks that you wear will start to come off, and you will start to become more comfortable with each other. During this phase, whether or not you have had or are having physical intimacy, the relationship is of the nature of a friendship. You may or may not consider yourselves as dating at this point, but you are still getting to know each other more deeply. People change when they enter this phase. The way they change is based on the four classical elements. All of the zodiac signs belong to one of these elements. Aries, Leo, and Sagittarius are Fire Signs; Taurus, Virgo, and Capricorn are Earth Signs; Gemini, Libra, and Aquarius are Air Signs; and Cancer, Scorpio, and Pisces are Water Signs. During the friendship stage, Fire Signs will become more Airy, and Air Signs will become more Fiery. Fire Signs will want to talk more, and Air Signs will want to do more. In the same way, Earth Signs will become more Watery, and Water Signs will become more Earthy. Earth Signs will soften and show more emotion, and Water Signs will become more practical and pragmatic. #3. You Fall in Love. The friendship stage may be short or long depending on each couple, but the next step is usually falling in love. When this happens, there is a drastic change in the relationship. Astrologically, this is because the relationship moves to the opposite House from the House of Friendship. Because of this drastic change, one or both partners may decide that they did better as friends and bring the relationship back to the 2nd stage. If you both decide to go forward, in most cases, this is stage of a relationship that is the most fun and most intense. What happens astrologically is that you literally return to your own element! This is because the House that governs romance is the next sign in your element. For example, for Aries, it will be Leo, for Taurus, it will be Virgo, and so on. At this stage in the relationship, you begin to get to know each other quite intimately, but, by the same token, you tend to see each other through rose-colored glasses. In addition to being the House of Romance, this House is also the House of Children, and of fun and creativity. This is a playful stage, and in most cases, quite enjoyable. #4. You Make a Commitment. As fun as the 3rd stage of a relationship is, it can not last forever. No one is truly able to sustain the passion and energy that stage involves. 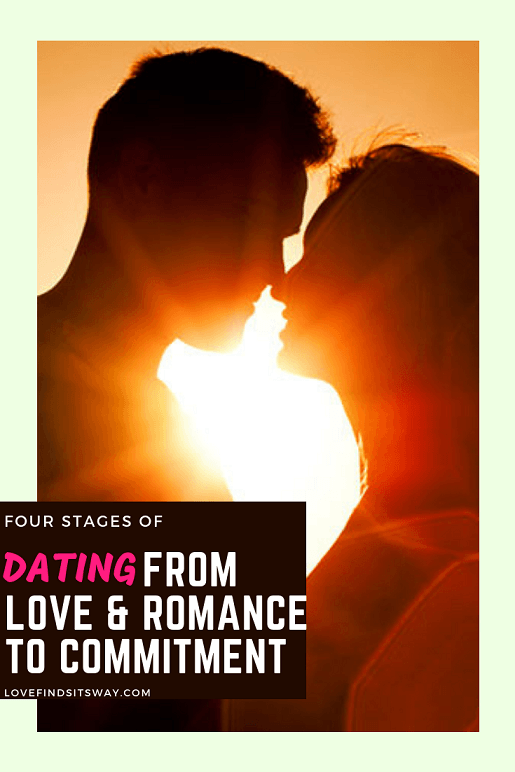 At some point, the relationship will either go back to the 2nd Stage, go back and forth between the 2nd and 3rd stages, or it will move on to a more permanent commitment. One of the things that often happens when you settle down into a commitment with someone is that the relationship begins to feel more like a friendship. The reason for this is that by House, committed relationships are always of the same element as friendships. This is also where problems begin to manifest. Committed relationships are a lot of work. Astrologically, this is because the sign that governs the House of a committed relationship is always the sign that is our opposite. It is common to hear people say that their partner changed when they got married. This is usually absolutely true. When we are in a committed relationship, we will invariably manifest traits that are the exact opposite of the ones that showed at the beginning when we first met our partner. It is not something to be angry, upset, or guilty about. On an astrological level, it cannot be helped. It is in the very nature of committed relationships. In conclusion, we have talked about the four stages of a relationship, from the first encounter to a permanent commitment. People change through these stages, in a way that is wired into our very being. A lasting relationship will be one that will endure and grow through all of these stages. In order to stay together, you must love each other in all of your complexity as human beings. I hope you loved reading this article on four stages of dating if you really loved it please do not forget it on your favorite social media. Is Technology really ruining Modern Romance?